Thanks to the great experience gained in dealcoholation wine application, REDA has perfected the technique of fractional distillation at very low temperatures for the separation and recovery of the water/alcohol used in the production process of natural extracts, flavors, essences (from herbs, plants, flowers, leaves, roots, seeds, etc.). 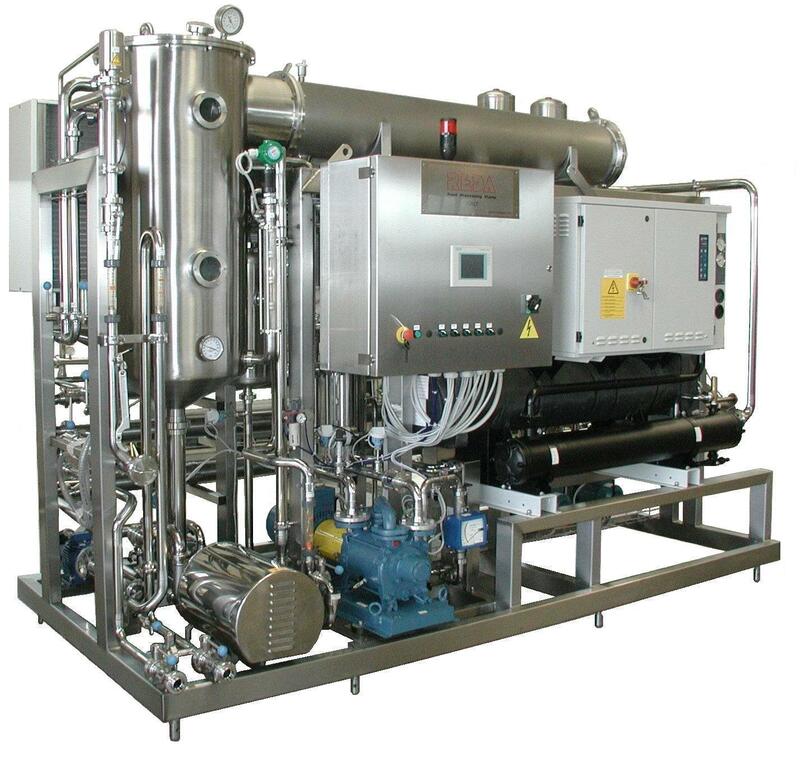 Starting from the infusions or from hydro-alcoholic solutions used in extraction processes (with gradations even up to 98% alcohol), it is possible to concentrate the basic product (through cold evaporation) or separate solutions fully recovering alcohol for reuse in new processes. The rapidity of the evaporation process, the very low temperatures applied and the reliability of the system, allow the concentration of the extract and the total recovery of the alcohol up to the last drop in total safety (according to ATEX rules) with continuous process or per batch. The REDA system also allows the recovery of alcohol without loss of aromatic fractions. The production range of our cold dealcoholizators varies from 25 to 800 liters/hour (with distilled at 50/60° alcohol).